You don’t have to be going to San Francisco to wear flowers in your hair. You can pretty yourself up with flowers when you head out to dinner, to a festival, or even to the park. Celebrating a birthday or special occasion? Place a bloom or two, or a crown of them, in your mane and delight in the beautiful feeling that flowers offer. 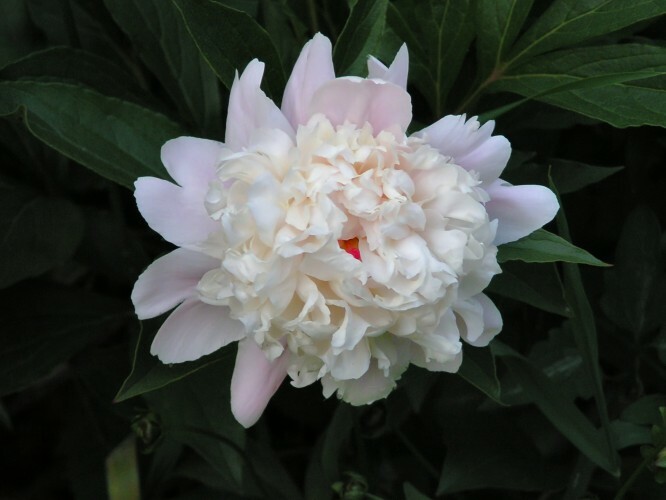 Peony is a fragrant flower that looks beautiful in hair. We’re obsessed with these flowers. We suggest you tuck one behind your ear or secure it to your head with a bobby pin. Spray roses are smaller than regular roses, so you can put a couple of blossoms in your hair and not have them stick out too far. Crowns of little spray roses look absolutely stunning. The garden rose is a beauty. It’s often hard to find, but if you have a flower mart near you, we think it’s worth the trip to pick up some of these for your hair. Chrysanthemums are popular flowers that have vibrant and showy appearance, which makes them perfect for putting in you hair if you’re going to an outdoor music concert or an evening opera performance. In addition to these blooms, you can decorate your hair with ranunculus, anemone (one of our favorites), and pernetiana. Or, you can choose a flower that calls to you in a special way. Have you ever worn flowers in your hair? If so, leave us a note in the comments below and tell us all about it!